Josh Todd (he/him/his) joined Campus Compact of Oregon in 2013 as the organization's 6th Executive Director and identifies as a white, queer father. Josh grew up poor in a predominantly black and latinx community and learned he was white at an early age. 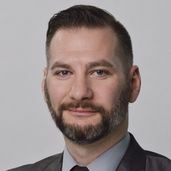 Josh holds a Master's degree in Public Affairs with a concentration in public administration and policy analysis from the University of Wisconsin-Madison and a Bachelor of Social Work degree from Aurora University in Illinois. His professional career began as an AmeriCorps member with the Bay Area Youth Agency Consortium where he conducted street outreach, HIV education and testing, and ran peer education groups for students in Marin County. He has worked for the City & County of San Francisco Youth Commission and moved to Portland, OR in 2002 where he was Multnomah County's Youth Development Coordinator and then Director of the Commission on Children, Families & Community. With a background in youth and community development and organizational change related to racial justice and equity, at Campus Compact Josh has deepened expertise in equity focused organizational change and transformation as well as collective systems organizing among networks of partners. Josh has a daughter who just started college and a son who is a Junior at Franklin High School and is actively working on his own anti-blackness, internalized white superiority, and learning how to decenter whiteness- especially when you hold positional authority that centers you automatically.